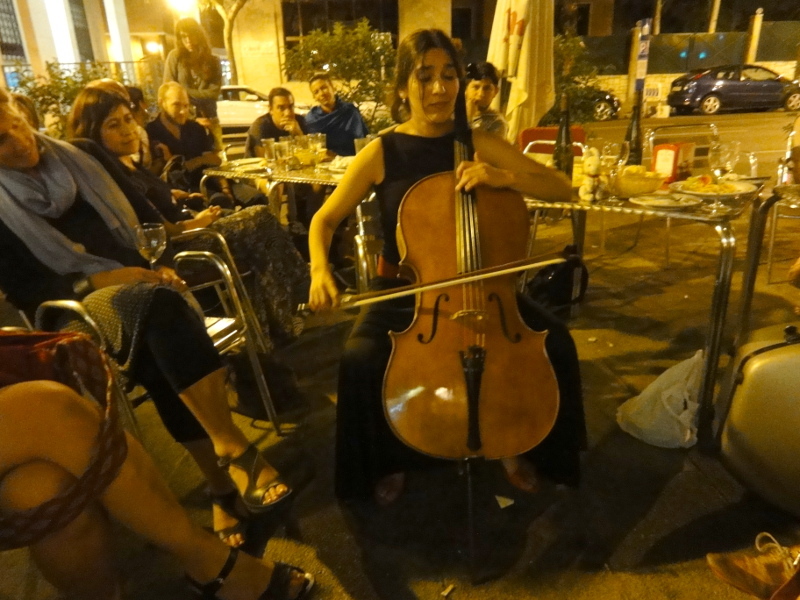 one of the highlights of the festival was when the beautiful young cellist iris azqueniezer spontaneously played for me at one of these bars, on the footpath near midnight, because i had missed her show. it was so wonderful, i was glad to have missed the actual show! from madrid i went (via london) to aberystwyth for the first meeting of the Magdalena Archive Project, which aims to find a way to take care of what is becoming a large archive, of 27 years of the project. i’ve written about the meeting on the magdalena site so if you’re interested you can read more there. selene and i stayed at a lovely B&B; with 3 boisterous children, so outside of the meeting we had interesting family meal-time conversations. now i’m back in munich with no travel planned until november, which is quite a luxury. until recently i have been busy with the CyPosium book and documentation of We have a situation! ; now that that is done, the focus is on the forthcoming 10th birthday of UpStage – it’s amazing that UpStage has reached this milestone. vicki & i have been doing lots of unsuccessful funding applications for the celebratory event, so as time has passed we’ve had to reduce our ideas down and down … but we are still going ahead with some performances, networked discussion, and a planning meeting in wellington on 9-10th january. also the current AUT student developer team seem to be a bunch of geniuses so we look set to having version 3 of the software ready to release at the birthday. pretty exciting stuff! and in general life, andy & i are searching for a new home in munich, which is difficult as it’s one of the most expensive cities in europe in terms of accommodation, and has a very slow-moving property market so there’s not even very much to look at. yesterday we saw what looked like the perfect affordable place in a really good location – but today it’s disappeared from the web site … so we keep searching; and in the meantime making preparations for another southern summer. i’ve heard from bob at gasoline heaven that the valiant is in good shape, he is getting the rust repaired and she will be good to go for another south island road trip – this time we will be celebrating 20 years together and into her 50th year! 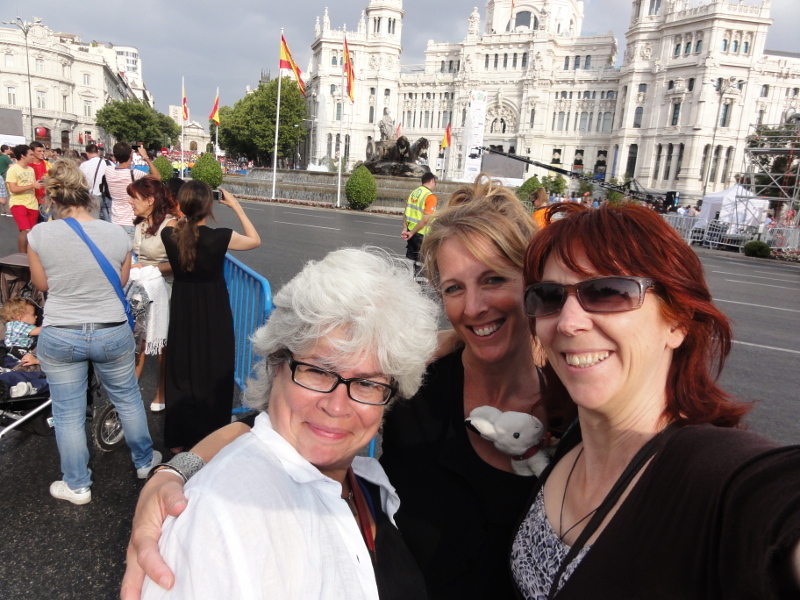 as well as celebrating mum’s 80th … so, much to prepare for!